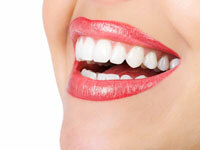 Learn how you can straighten your teeth invisibly, without braces. Please call our office at (540) 885-4589 or email us via the Request Appointment form above. Learn more on the MTM® Clear•Aligner website. MTM Clear Align uses a series of clear removable aligners to straighten your teeth without brackets or metal wires. The aligners are made using 3-D computer imaging technology. As you replace each aligner with the next in the series, your teeth will move – little by little, week by week – until they have straightened to the final position Dr. Salzberg has prescribed. You’ll visit Dr. Salzberg about once every 6 weeks to ensure that your treatment is progressing as planned. Total treatment time averages 3 – 6 months but will vary from case to case.